Very Good. B013JBARU4 ALL BOOKS SHIPPED WITHIN 1 DAY OF PURCHASE! Very Good. The Accidental Theorist: Essays on the Dismal Science by Krugman, Paul, 1999-04-09. Trade paperback (US). Glued binding. 204 p. Contains: Illustrations, black & white. Good. 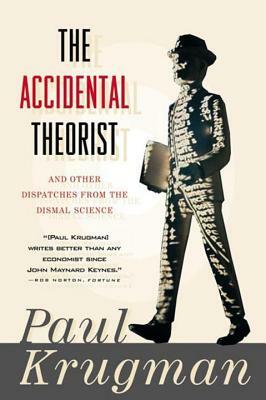 The Accidental Theorist: Essays on the Dismal Science by Krugman, Paul. Trade paperback (US). Glued binding. 204 p. Contains: Illustrations, black & white.